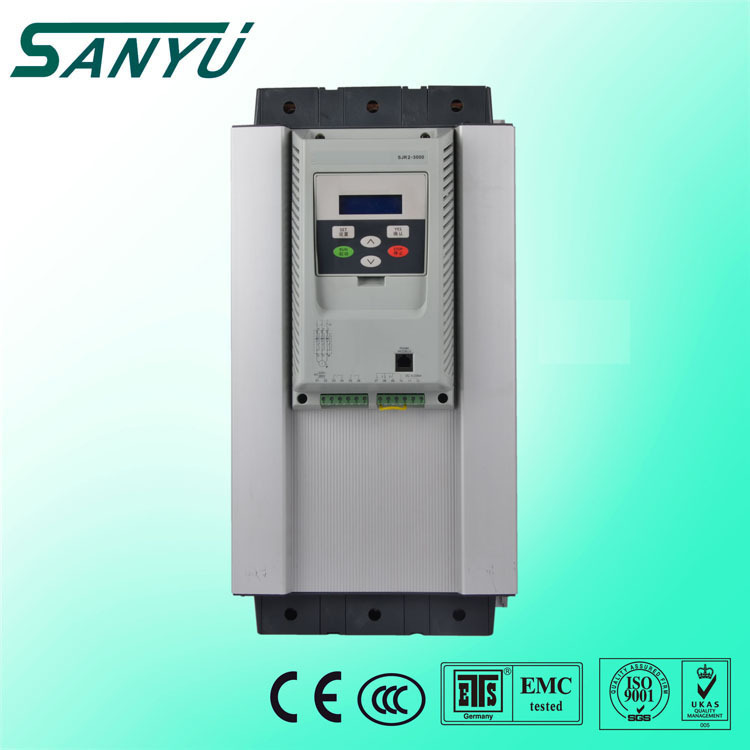 Sanyu is the one of the leading frequency inverter(AC motor drives) and soft starters manufactures in shanghai China, which has about 20 years history in this field. Till now we have exported our products to more than 30 countries. Our frquency inverter and soft starter have been applied in “Beijing Olympic Center, Shanghai Expo Pavilion and Shanghai Air Port" etc. 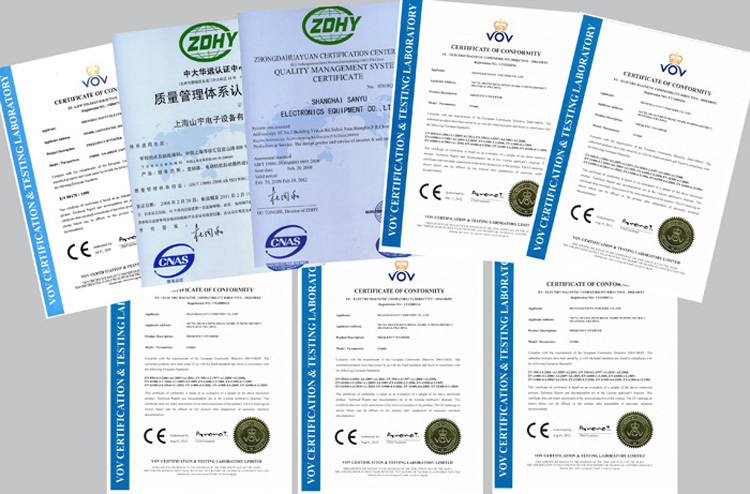 We have CE,ISO9001,SGS,CCC certificate and so on. 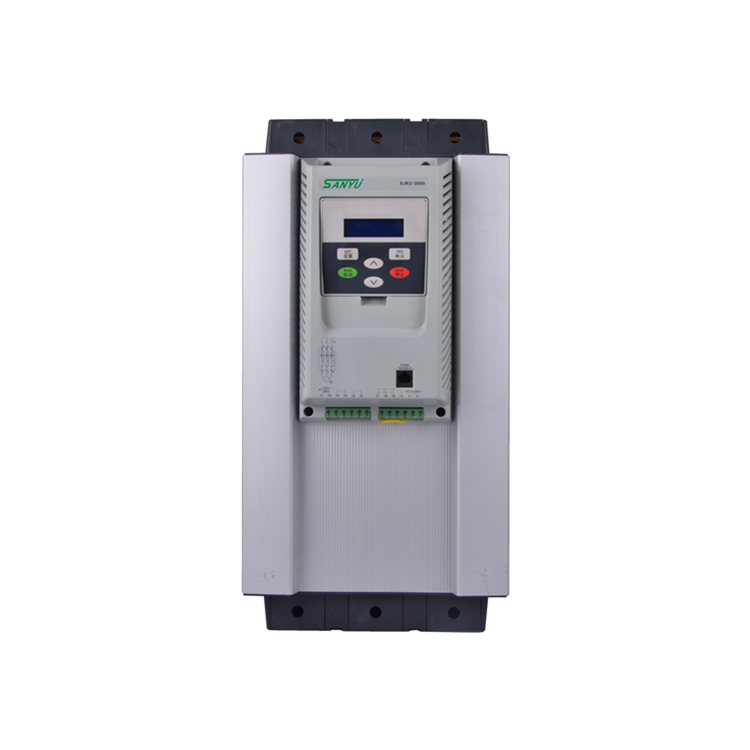 soft starter as SJR2-2000 series economical type, SJR2-5000 intelligent type, SJR2-3000 built-in bypass type. “SJR2-3000” series online micro-power consumption motor soft starter of Shanghai SANYU. The company has made further technical improvement in both the software and the structure of the soft starter according to the market demand. 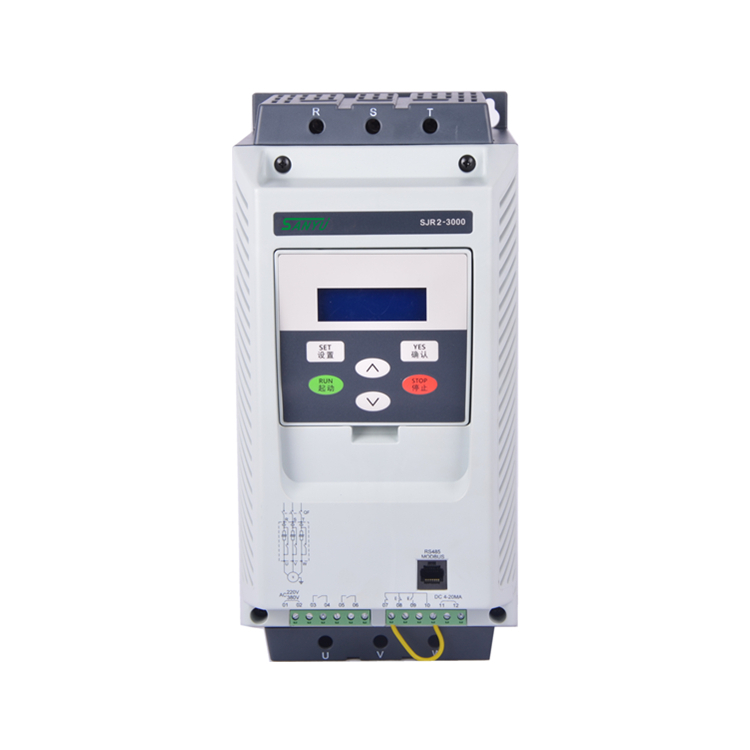 With inbuilt bypass contactor the soft starter provides complete motor protection functions including start control, running and overloading, phase failure, three-phase unbalance, over-voltage, under-voltage protection and so on with no need to further install bypass contactor and thermal relay, therefore, as another great achievement in the intelligentization of motor protection and networked technology application, it simplifies the circuit, reduces the volume, cuts the cost, makes installation and using more convenient. 03, 04 are programmable relay output, the delay time is set by the code F4 while the output function time is set by code FE. The motor will slow down for soft stop when 08 and 10 are disconnected (or automatically stop). 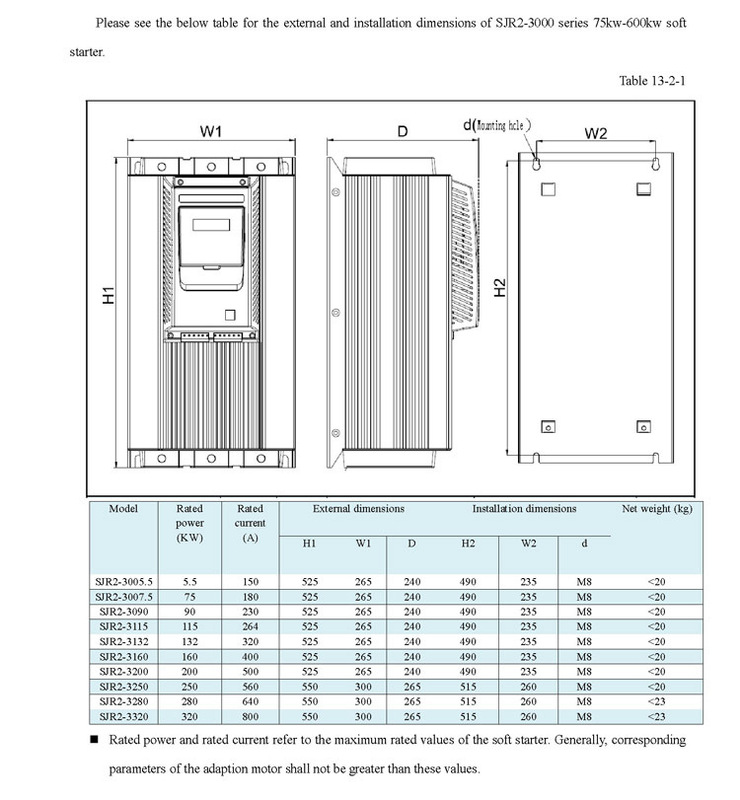 The motor will start for running when 09 and 10 are connected. 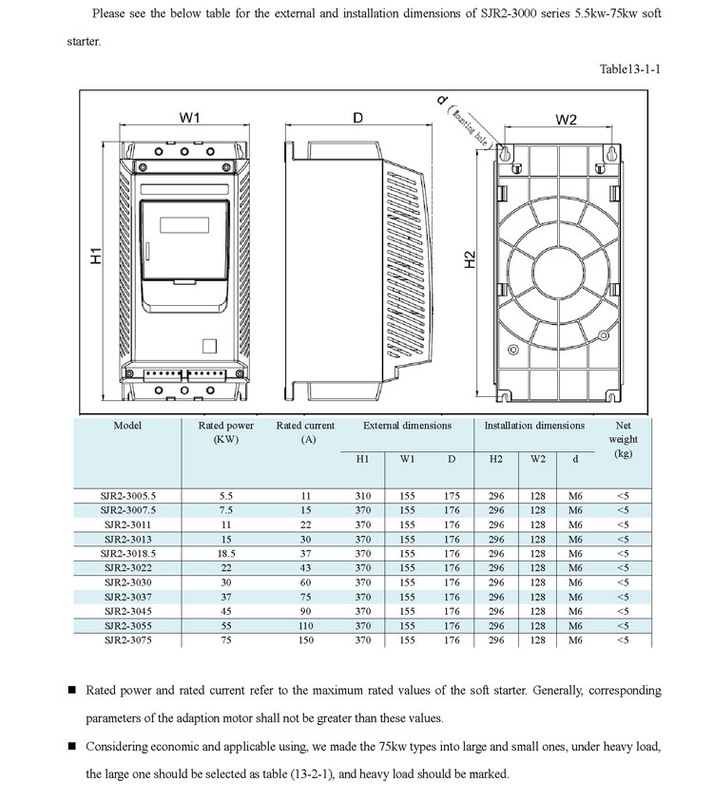 11 and 12 are 4~20Ma DC analog output which are used to monitor the current of the motor in real time. 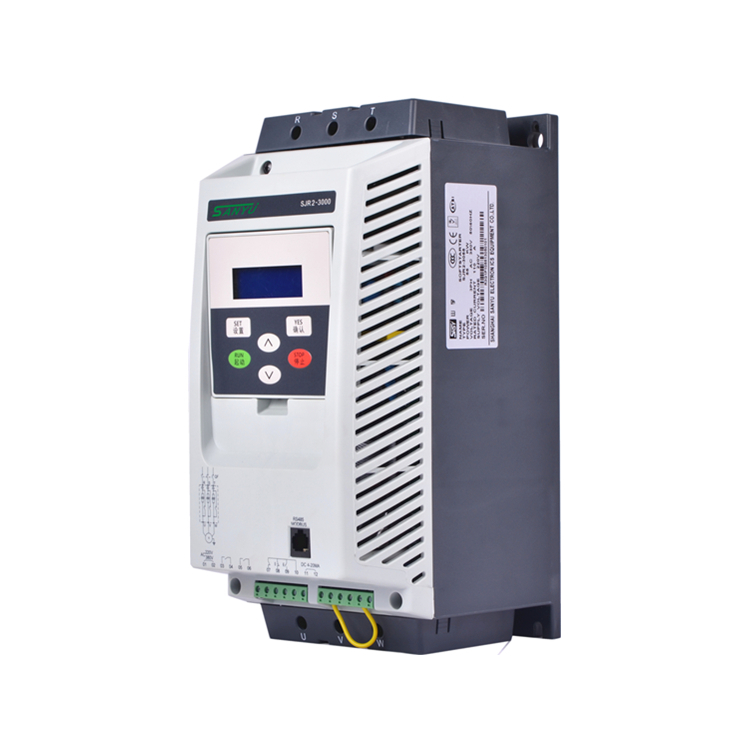 The maximum value 20mA indicates the current of the motor is four times of the nominal current of the soft starter.4~20Ma DC meter can be connected for observation. 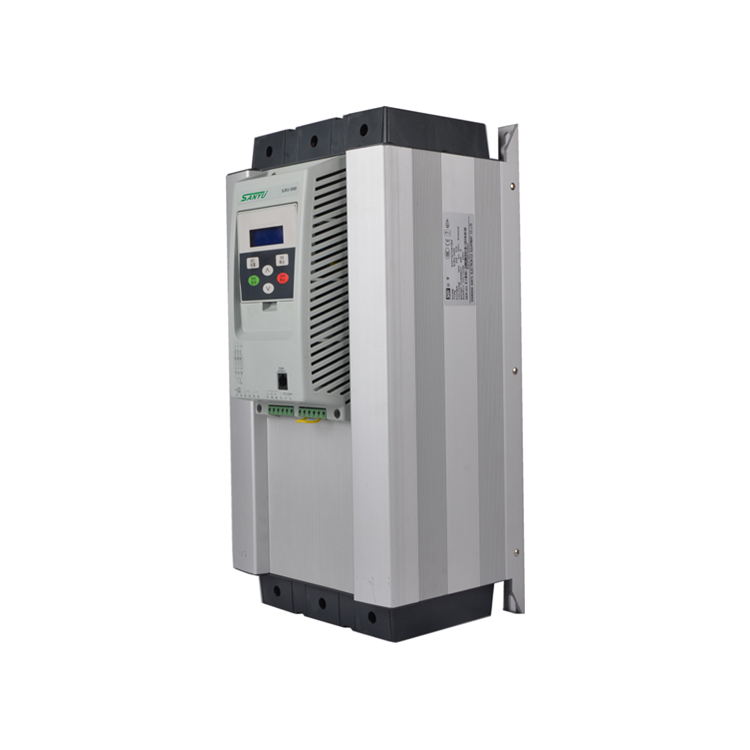 Maximum load resistance of this output is 300Ω. Input and output signal terminal of RS485 communication, can be used to connect several soft starters. 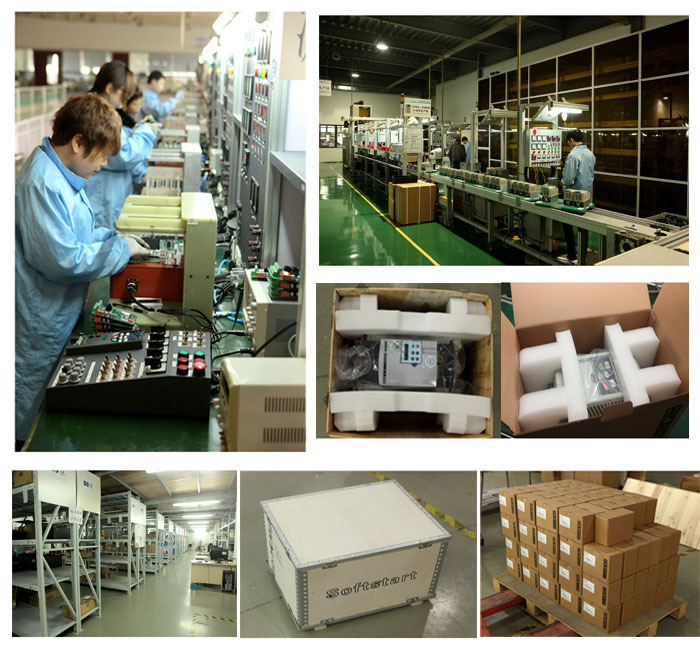 Not only we have our own brand"Sanyu", but also we supply the OEM service to our customers. To satisfy your need, we can print your own logo or design on the products. For our own brand products, we will delivery the goods within five working days after we confirm the paymetn, and normally can be deliveried to your place in around 7 days. For the samples of OEM, we will need more times. And we will try our best to send to you as early as possible. The production time is around 5 to 20 working days according to the order. We have inventory for normal power below 22kw. For normal order we need around 5 working days. For special order such as OEM or big order, we can finish within 20 working days. For sample order or small order, we advise you to use DHL express way, we can apply discount for freight cost, and DHL can delivery the goods to your place within 7 days. And for big order, you can choose by airway or by seaship, it can save cost.